“And leave them here?” Jamie lifted an edge of the old, dusty tarp, peeking underneath. Her mother slapped her shoulder. “The larger items, over in that corner, get sold at auction. I’m pretty sure they’re antiques. The proceeds go to the charity of her choice, which in this case,” her mother looked down at her clipboard and lifted the sheet of paper to look on the second page, “is a place that makes wigs for cancer patients who’ve lost their hair during chemo.” Jamie caught the expression on her mother’s face a moment before she could hide it. “Why not just donate to cancer research?” Jamie asked, thinking her mother’s thoughts aloud. They parachuted another dusty blanket over the third pile of junk they’d made in three hours. Jamie scrunched her nose and turned her face away. Her skin already itched. Her cheeks and forearms felt dry and sticky all at once. Gross. Going through all these things, still sitting as though waiting for their owner to return, was creeping her out. She might as well have been sitting in the woman’s grave. Jamie’s eyes widened. Mom jeans? Hell no. She went to to protest when her mother’s cell phone rang. She held up her finger, motioning for her to hold that thought. “Hello? Yes, Bill, I’m at Mrs. Wallace’s house now. Just finishing up.” Her mother walked into the kitchen, disappearing from view, her voice fading with the distance. Jamie groaned. She couldn’t sit any longer. She pulled herself up and did a final tour of the old house. Everything was tucked away in its own little corner, boxed or bagged or covered in tarps and blankets. Old lady Wallace’s whole life, weighed and measured by two total strangers. “At least the old bat had some taste,” Jamie muttered, walking past the grand piano. It was always the same tired story. Her mother on her back about this or that. Do better in school, Jamie. Those girls aren’t your friends. They’re shallow and selfish and using you. She couldn’t help it if she was popular. People just gravitated to her. She was funny and pretty and charming. And although she didn’t brag about it, she was pretty smart. Well-read, well-spoken. Her mother had made sure of that. So of course people were gonna like her. Why was that a bad thing? She wouldn’t even get started on boys. Her mother was opposed to any fraternization with the male species. Like that was even possible. She was undoubtedly the hottest girl in school. Plus, she didn’t mind the attention. If her mother went on a date every once in a while, she’d see how nice it was to be kissed or touched by a man, rather than spending pathetic nights with a bottle of wine and a book. She wasn’t getting any younger. Jamie doubled over when she reached the last bedroom. Everything was in its place. Finally. The sooner she left, the less likely she’d be to smell like moth balls, rubbing alcohol, and overpriced perfume. She started back down the hall toward the living room and stopped short. 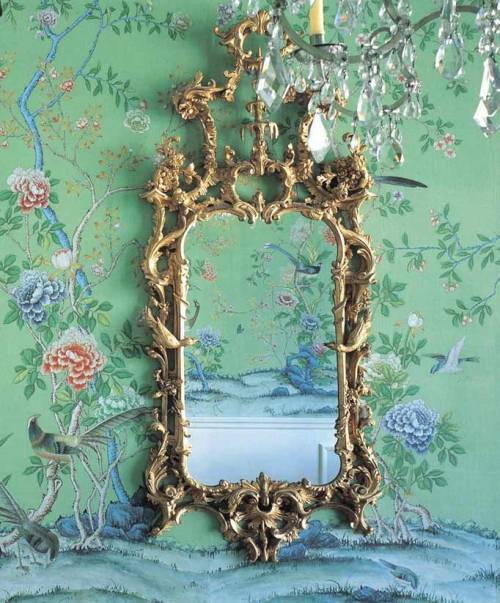 The guest room at the far end of the hall had its door open, a stunning, gold gilded mirror hanging from the wall. “That’s odd.” She walked in, almost positive that it hadn’t been there before. They’d gone through the whole house. They’d checked everything off on the list. There was no mention of a gilded mirror anywhere. She didn’t pay attention to much, but that much she knew. She walked up to it, examining its glistening curves, the crystal clarity of its glass. Her bright blue eyes drifted upwards to examine her reflection. Maybe it was just the light, but her skin looked flawless. Her lips full and red. Her looks may not last forever, but she had them now, and they were good to her. A shadow passed across the glass. She blinked, startled, and stumbled back. Her reflection disappeared as something moved and stirred within the mirror. Smoke and fog churned inside, growing longer and deeper, as though there were an entire world on the other side of the glass. A pallid-skinned face appeared, his eyes empty and black , as though he were nothing but a floating, moving mask. And then she blinked, and was gone, looking from the inside out, watching as her mother called her name from the other side of the glass, never knowing, never seeing where she’d gone. 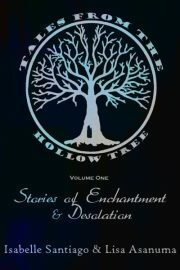 This entry was posted on Friday, March 25th, 2011 at 6:31 pm	and tagged with fairytales retold, snow white, wicked queen, ya fiction and posted in Fiction by Isabelle. You can follow any responses to this entry through the RSS 2.0 feed.